Home / Entertainment / 'Game of Thrones': Who Is Harry Strickland? 'Game of Thrones': Who Is Harry Strickland? Jorah Mormont, one of Daenerys Targaryen's most trusted advisors, used to fight in their ranks after he was exiled from Westeros, and before he pledged his sword to the Mother of Dragons. But the Stag did not want to take advantage of sell swords, deciding instead to utilize the expertise of blood magic from the Lord of Light. Cersei is the first to utilize the services of the Golden Company, taking out a bigger loan from the Iron Bank in order to secure their support. We don't know how large of a role the Golden Company will play in the new series, but we do know that they'll help complicate things even worse than they already are. 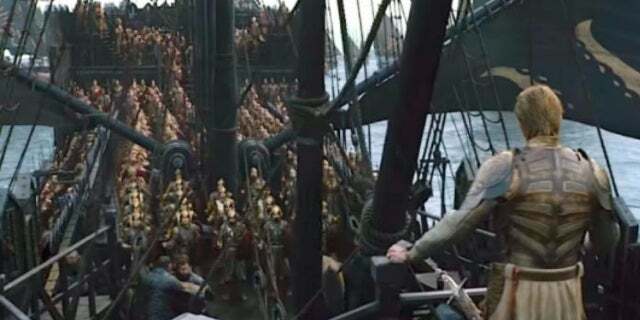 Cersei Lannister doesn't have the strength to defend King's Landing on her own, and with the Northern alliance focused on defeating the Night King and the White Walkers, the Golden Company and Harry Strickland might end up beating the deciding factor in the Game of Thrones .